Douglas Ewart is a multi-instrumentalist, composer, and past president of the Association for the Advancement of Creative Musicians (AACM). He sat down with Sam Segal and Mark Mahoney, the hosts of Radio K’s jazz program Sound Grammar, for an interview ahead of his March 5 Sound Horizon performance at the Walker. You can listen to the interview on the Walker Channel. My first experience with Douglas Ewart’s music came through Voice Prints, a recording he did in 2008 at the Walker with one of my musical heroes, Yusef Lateef, along with percussionist Adam Rudolph and Ewart’s AACM colleague Roscoe Mitchell. The music I discovered was deeply spiritual, a quest for serenity that never loses its intensity. In this performance alone Ewart plays sopranino saxophones, C flute, glass didgeridoo, voice, bass clarinet, gongs, bells, percussion, sirens, bass transverse flute, bamboo flutes, and something called the Ewart Hotchiku. Yet, his clear virtuosity on all of these instruments never seems to overwhelm the ensemble’s sense of collectivity, and when I had the pleasure of meeting him to record this interview, I wasn’t surprised to encounter a remarkably humble and thoughtful artist. 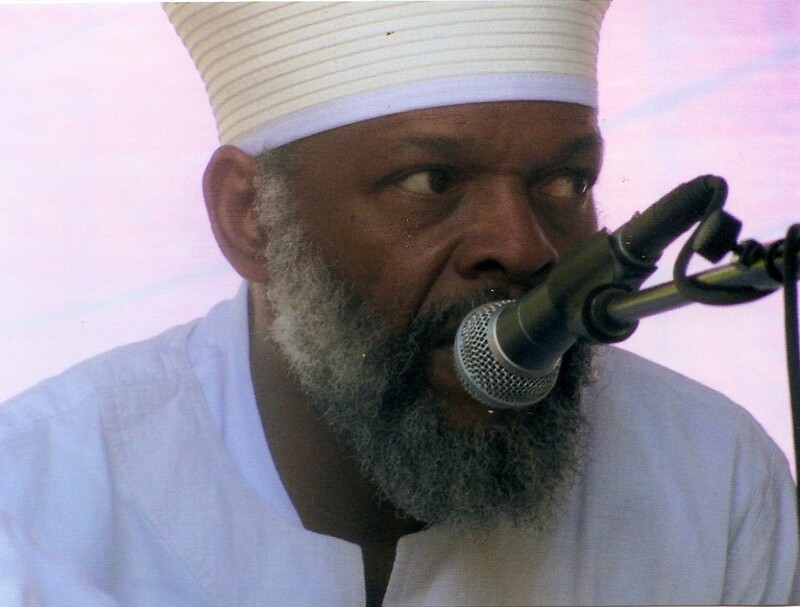 Ewart has lived mostly in the Twin Cities since moving up north from Chicago in the early ‘90s, and as a past president of the AACM, he has provided the local creative music scene with a connection to one of the pillars of the 20th Century avant-garde. In celebration of the 50th anniversary of the founding of the AACM this year, Ewart spoke to me and my co-host Mark Mahoney about the Chicago collective’s impact on his own artistic approach, the supposed “Jazz Tradition,” and the Twin Cities artistic community. We also went into depth on Ewart’s childhood in Kingston, Jamaica, where not only did his involvement in the Rastafarian movement in the early ‘60s put him in direct contact with the Nyabinghi drum music of the legendary Count Ossie but he was also exposed to U.S. jazz titans like John Coltrane and Pharoah Sanders. We learned that as a teenager living in Chicago, it was Ewart’s vocational schooling as a craftsman that would inform his artistic practices as a sculptor and a maker of musical instruments today. Last June, I attended The Audible Edge, an exhibition at the Nash Gallery that included one of Ewart’s sculptures, a rain stick he had crafted as a tribute to Trayvon Martin. When we asked him about the socio-political themes in his work, Ewart elaborated eloquently on his concerns over the continued dangers faced by young black men in America, as well as the issues he focuses on in his upcoming Sound Horizon piece: gender equality and water conservation. Douglas Ewart performs in the Walker galleries at 6 pm, 7 pm, and 8 pm on Thursday, March 5 as a part of the Sound Horizon series.